Race Red exterior and Dark Earth Gray interior, XL trim. Tow Hitch, Back-Up Camera, RACE RED, CLASS IV TRAILER HITCH RECEIVER, EQUIPMENT GROUP 101A MID, TRANSMISSION: ELECTRONIC 6-SPEED AUTO... ENGINE: 3.3L V6 PDFI, FOG LAMPS SEE MORE!KEY FEATURES INCLUDEBack-Up Camera Electronic Stability Control, Brake Assist, 4-Wheel ABS, 4-Wheel Disc Brakes, Tire Pressure Monitoring System.OPTION PACKAGESEQUIPMENT GROUP 101A MID SYNC, enhanced voice recognition communications and entertainment system, 911 assist, 4.2 LCD display in center stack, Applink and 1 smart charging USB port, 4.2 Productivity Screen in Instrument Cluster, compass, XL Power Equipment Group, Power Glass Sideview Mirrors w/Black Skull Caps, manual-folding, Power Door Locks, flip key and integrated key transmitter keyless-entry (includes Autolock), Illuminated Entry, Power Front Windows, Perimeter Alarm, Power Tailgate Lock, MyKey, Cruise Control, XL CHROME APPEARANCE PACKAGE Fog Lamps (Fleet), Wheels: 17 Silver Painted Aluminum, Front & Rear Chrome Bumpers, body-color front fascia, FOG LAMPS, CLASS IV TRAILER HITCH RECEIVER towing capability up to TBD on 3.3L V6 PFDI engine (99B) and 2.7L EcoBoost engine (99P) or up to TBD on 3.5L EcoBoost engine (994), 3.5L EcoBoost High Output engine (99G) and 5.0L V8 engine (995), smart trailer tow connector and 4-pin/7-pin wiring harness, RACE RED, ENGINE: 3.3L V6 PDFI auto start-stop technology and flex-fuel capability (STD), TRANSMISSION: ELECTRONIC 6-SPEED AUTOMATIC selectable drive modes: normal/tow-haul/sport (STD). Ford XL with Race Red exterior and Dark Earth Gray interior features a V6 Cylinder Engine with 290 HP at 6500 RPM*.EXPERTS RAVEThis truck steers and handles about as well as anything in the class. It has confidence-inspiring brakesMORE ABOUT USBaxter Ford West DodgeHorsepower calculations based on trim engine configuration. Please confirm the accuracy of the included equipment by calling us prior to purchase. Hitch, Turbo Charged Engine, Back-Up Camera, CLASS IV TRAILER HITCH RECEIVER, EQUIPMENT GROUP 101A MID, TRANSMISSION: ELECTRONIC 10-SPEED AUT... FOG LAMPS. XL trim, Oxford White exterior and Dark Earth Gray interior. CLICK ME!KEY FEATURES INCLUDEBack-Up Camera Electronic Stability Control, Brake Assist, 4-Wheel ABS, 4-Wheel Disc Brakes, Tire Pressure Monitoring System.OPTION PACKAGESEQUIPMENT GROUP 101A MID SYNC, enhanced voice recognition communications and entertainment system, 911 assist, 4.2 LCD display in center stack, Applink and 1 smart charging USB port, 4.2 Productivity Screen in Instrument Cluster, compass, XL Power Equipment Group, Power Glass Sideview Mirrors w/Black Skull Caps, manual-folding, Power Door Locks, flip key and integrated key transmitter keyless-entry (includes Autolock), Illuminated Entry, Power Front Windows, Perimeter Alarm, Power Tailgate Lock, MyKey, Cruise Control, ENGINE: 2.7L V6 ECOBOOST auto start-stop technology, GVWR: 6,220 lb Payload Package, XL CHROME APPEARANCE PACKAGE Fog Lamps (Fleet), Wheels: 17 Silver Painted Aluminum, Front & Rear Chrome Bumpers, body-color front fascia, FOG LAMPS, CLASS IV TRAILER HITCH RECEIVER towing capability up to TBD on 3.3L V6 PFDI engine (99B) and 2.7L EcoBoost engine (99P) or up to TBD on 3.5L EcoBoost engine (994), 3.5L EcoBoost High Output engine (99G) and 5.0L V8 engine (995), smart trailer tow connector and 4-pin/7-pin wiring harness, OXFORD WHITE, TRANSMISSION: ELECTRONIC 10-SPEED AUTOMATIC selectable drive modes: normal/tow-haul/snow-wet/EcoSelect/sport. Ford XL with Oxford White exterior and Dark Earth Gray interior features a V6 Cylinder Engine with 290 HP at 6500 RPM*.VEHICLE REVIEWSEdmunds.com's review says This truck steers and handles about as well as anything in the class. It has confidence-inspiring brakesHorsepower calculations based on trim engine configuration. Please confirm the accuracy of the included equipment by calling us prior to purchase. Oxford White exterior and Dark Earth Gray interior, XL trim. Trailer Hitch, Turbo Charged, Back-Up Camera, CLASS IV TRAILER HITCH RECEIVER, EQUIPMENT GROUP 101A MID, TRANSMISSION: ELECTRONIC 10-SPEED AUT... FOG LAMPS CLICK NOW!KEY FEATURES INCLUDEBack-Up Camera Electronic Stability Control, Brake Assist, 4-Wheel ABS, 4-Wheel Disc Brakes, Tire Pressure Monitoring System.OPTION PACKAGESEQUIPMENT GROUP 101A MID SYNC, enhanced voice recognition communications and entertainment system, 911 assist, 4.2 LCD display in center stack, Applink and 1 smart charging USB port, 4.2 Productivity Screen in Instrument Cluster, compass, XL Power Equipment Group, Power Glass Sideview Mirrors w/Black Skull Caps, manual-folding, Power Door Locks, flip key and integrated key transmitter keyless-entry (includes Autolock), Illuminated Entry, Power Front Windows, Perimeter Alarm, Power Tailgate Lock, MyKey, Cruise Control, ENGINE: 2.7L V6 ECOBOOST auto start-stop technology, GVWR: 6,220 lb Payload Package, XL CHROME APPEARANCE PACKAGE Fog Lamps (Fleet), Wheels: 17 Silver Painted Aluminum, Front & Rear Chrome Bumpers, body-color front fascia, FOG LAMPS, CLASS IV TRAILER HITCH RECEIVER towing capability up to TBD on 3.3L V6 PFDI engine (99B) and 2.7L EcoBoost engine (99P) or up to TBD on 3.5L EcoBoost engine (994), 3.5L EcoBoost High Output engine (99G) and 5.0L V8 engine (995), smart trailer tow connector and 4-pin/7-pin wiring harness, OXFORD WHITE, TRANSMISSION: ELECTRONIC 10-SPEED AUTOMATIC selectable drive modes: normal/tow-haul/snow-wet/EcoSelect/sport. Ford XL with Oxford White exterior and Dark Earth Gray interior features a V6 Cylinder Engine with 290 HP at 6500 RPM*.VEHICLE REVIEWSEdmunds.com's review says This truck steers and handles about as well as anything in the class. It has confidence-inspiring brakesHorsepower calculations based on trim engine configuration. Please confirm the accuracy of the included equipment by calling us prior to purchase. Hitch, Turbo Charged Engine, Back-Up Camera, CLASS IV TRAILER HITCH RECEIVER, EQUIPMENT GROUP 101A MID, TRANSMISSION: ELECTRONIC 10-SPEED AUT... FOG LAMPS. XL trim, Oxford White exterior and Dark Earth Gray interior READ MORE!KEY FEATURES INCLUDEBack-Up Camera. Electronic Stability Control, Brake Assist, 4-Wheel ABS, 4-Wheel Disc Brakes, Tire Pressure Monitoring System.OPTION PACKAGESEQUIPMENT GROUP 101A MID SYNC, enhanced voice recognition communications and entertainment system, 911 assist, 4.2 LCD display in center stack, Applink and 1 smart charging USB port, 4.2 Productivity Screen in Instrument Cluster, compass, XL Power Equipment Group, Power Glass Sideview Mirrors w/Black Skull Caps, manual-folding, Power Door Locks, flip key and integrated key transmitter keyless-entry (includes Autolock), Illuminated Entry, Power Front Windows, Perimeter Alarm, Power Tailgate Lock, MyKey, Cruise Control, ENGINE: 2.7L V6 ECOBOOST auto start-stop technology, GVWR: 6,220 lb Payload Package, XL CHROME APPEARANCE PACKAGE Fog Lamps (Fleet), Wheels: 17 Silver Painted Aluminum, Front & Rear Chrome Bumpers, body-color front fascia, FOG LAMPS, CLASS IV TRAILER HITCH RECEIVER towing capability up to TBD on 3.3L V6 PFDI engine (99B) and 2.7L EcoBoost engine (99P) or up to TBD on 3.5L EcoBoost engine (994), 3.5L EcoBoost High Output engine (99G) and 5.0L V8 engine (995), smart trailer tow connector and 4-pin/7-pin wiring harness, OXFORD WHITE, TRANSMISSION: ELECTRONIC 10-SPEED AUTOMATIC selectable drive modes: normal/tow-haul/snow-wet/EcoSelect/sport. Ford XL with Oxford White exterior and Dark Earth Gray interior features a V6 Cylinder Engine with 290 HP at 6500 RPM*.EXPERTS ARE SAYINGThis truck steers and handles about as well as anything in the class. It has confidence-inspiring brakesMORE ABOUT USBaxter Ford West DodgeHorsepower calculations based on trim engine configuration. Please confirm the accuracy of the included equipment by calling us prior to purchase. 4x4, Back-Up Camera, CLASS IV TRAILER HITCH RECEIVER, EQUIPMENT GROUP 101A MID, TRANSMISSION: ELECTRONIC 6-SPEED AUTO... Trailer Hitch, OXFORD WHITE. XL trim, Oxford White exterior and Medium Earth Gray interior. SEE MORE!KEY FEATURES INCLUDEBack-Up Camera. 4x4, Electronic Stability Control, Brake Assist, 4-Wheel ABS, 4-Wheel Disc Brakes.OPTION PACKAGESEQUIPMENT GROUP 101A MID SYNC, enhanced voice recognition communications and entertainment system, 911 assist, 4.2 LCD display in center stack, Applink and 1 smart charging USB port, 4.2 Productivity Screen in Instrument Cluster, compass, XL Power Equipment Group, Power Glass Sideview Mirrors w/Black Skull Caps, manual-folding, Power Door Locks, flip key and integrated key transmitter keyless-entry (includes Autolock), Illuminated Entry, Power Front Windows, Perimeter Alarm, Power Tailgate Lock, MyKey, Cruise Control, CLASS IV TRAILER HITCH RECEIVER towing capability up to TBD on 3.3L V6 PFDI engine (99B) and 2.7L EcoBoost engine (99P) or up to TBD on 3.5L EcoBoost engine (994), 3.5L EcoBoost High Output engine (99G) and 5.0L V8 engine (995), smart trailer tow connector and 4-pin/7-pin wiring harness, OXFORD WHITE, ENGINE: 3.3L V6 PDFI auto start-stop technology and flex-fuel capability (STD), TRANSMISSION: ELECTRONIC 6-SPEED AUTOMATIC selectable drive modes: normal/tow-haul/sport (STD). Ford XL with Oxford White exterior and Medium Earth Gray interior features a V6 Cylinder Engine with 290 HP at 6500 RPM*.EXPERTS ARE SAYINGEdmunds.com's review says This truck steers and handles about as well as anything in the class. It has confidence-inspiring brakes, too. They feel reassuring even when towing a trailer..MORE ABOUT USBaxter Ford West Dodge, a full-service Ford dealership in Omaha, is your source for new Ford cars, trucksHorsepower calculations based on trim engine configuration. Please confirm the accuracy of the included equipment by calling us prior to purchase. Oxford White exterior and Medium Earth Gray interior, XL trim. Hitch, 4x4, Back-Up Camera, CLASS IV TRAILER HITCH RECEIVER, EQUIPMENT GROUP 101A MID, TRANSMISSION: ELECTRONIC 6-SPEED AUTO... FOG LAMPS, OXFORD WHITE CLICK ME!KEY FEATURES INCLUDEBack-Up Camera. 4x4, Electronic Stability Control, Brake Assist, 4-Wheel ABS, Tire Pressure Monitoring System.OPTION PACKAGESEQUIPMENT GROUP 101A MID SYNC, enhanced voice recognition communications and entertainment system, 911 assist, 4.2 LCD display in center stack, Applink and 1 smart charging USB port, 4.2 Productivity Screen in Instrument Cluster, compass, XL Power Equipment Group, Power Glass Sideview Mirrors w/Black Skull Caps, manual-folding, Power Door Locks, flip key and integrated key transmitter keyless-entry (includes Autolock), Illuminated Entry, Power Front Windows, Perimeter Alarm, Power Tailgate Lock, MyKey, Cruise Control, XL CHROME APPEARANCE PACKAGE Fog Lamps (Fleet), Wheels: 17 Silver Painted Aluminum, Front & Rear Chrome Bumpers, body-color front fascia, FOG LAMPS, CLASS IV TRAILER HITCH RECEIVER towing capability up to TBD on 3.3L V6 PFDI engine (99B) and 2.7L EcoBoost engine (99P) or up to TBD on 3.5L EcoBoost engine (994), 3.5L EcoBoost High Output engine (99G) and 5.0L V8 engine (995), smart trailer tow connector and 4-pin/7-pin wiring harness, OXFORD WHITE, ENGINE: 3.3L V6 PDFI auto start-stop technology and flex-fuel capability (STD), TRANSMISSION: ELECTRONIC 6-SPEED AUTOMATIC selectable drive modes: normal/tow-haul/sport (STD). Ford XL with Oxford White exterior and Medium Earth Gray interior features a V6 Cylinder Engine with 290 HP at 6500 RPM*.EXPERTS REPORTEdmunds.com explains This truck steers and handles about as well as anything in the class. It has confidence-inspiring brakesWHY BUY FROM USBaxter Ford West DodgeHorsepower calculations based on trim engine configuration. Please confirm the accuracy of the included equipment by calling us prior to purchase. Turbo Charged Engine, Hitch, Back-Up Camera, 4x4, CLASS IV TRAILER HITCH RECEIVER, TRANSMISSION: ELECTRONIC 10-SPEED AUT... EQUIPMENT GROUP 101A MID, FOG LAMPS. Oxford White exterior and Medium Earth Gray interior, XL trim. READ MORE!KEY FEATURES INCLUDEBack-Up Camera 4x4, Electronic Stability Control, Brake Assist, 4-Wheel ABS, Tire Pressure Monitoring System.OPTION PACKAGESEQUIPMENT GROUP 101A MID SYNC, enhanced voice recognition communications and entertainment system, 911 assist, 4.2 LCD display in center stack, Applink and 1 smart charging USB port, 4.2 Productivity Screen in Instrument Cluster, compass, XL Power Equipment Group, Power Glass Sideview Mirrors w/Black Skull Caps, manual-folding, Power Door Locks, flip key and integrated key transmitter keyless-entry (includes Autolock), Illuminated Entry, Power Front Windows, Perimeter Alarm, Power Tailgate Lock, MyKey, Cruise Control, ENGINE: 2.7L V6 ECOBOOST auto start-stop technology, GVWR: 6,500 lbs Payload Package, 3.55 Axle Ratio, XL CHROME APPEARANCE PACKAGE Fog Lamps (Fleet), Wheels: 17 Silver Painted Aluminum, Front & Rear Chrome Bumpers, body-color front fascia, FOG LAMPS, CLASS IV TRAILER HITCH RECEIVER towing capability up to TBD on 3.3L V6 PFDI engine (99B) and 2.7L EcoBoost engine (99P) or up to TBD on 3.5L EcoBoost engine (994), 3.5L EcoBoost High Output engine (99G) and 5.0L V8 engine (995), smart trailer tow connector and 4-pin/7-pin wiring harness, OXFORD WHITE, TRANSMISSION: ELECTRONIC 10-SPEED AUTOMATIC selectable drive modes: normal/tow-haul/snow-wet/EcoSelect/sport. Ford XL with Oxford White exterior and Medium Earth Gray interior features a V6 Cylinder Engine with 290 HP at 6500 RPM*.VEHICLE REVIEWSThis truck steers and handles about as well as anything in the class. It has confidence-inspiring brakesOUR OFFERINGSBaxter Ford SouthHorsepower calculations based on trim engine configuration. Please confirm the accuracy of the included equipment by calling us prior to purchase. XL trim, Oxford White exterior and Medium Earth Gray interior. Turbo Charged, 4x4, Back-Up Camera, Trailer Hitch, CLASS IV TRAILER HITCH RECEIVER, EQUIPMENT GROUP 101A MID, TRANSMISSION: ELECTRONIC 10-SPEED AUT... FOG LAMPS. AND MORE!KEY FEATURES INCLUDEBack-Up Camera 4x4, Electronic Stability Control, Brake Assist, 4-Wheel ABS, Tire Pressure Monitoring System.OPTION PACKAGESEQUIPMENT GROUP 101A MID SYNC, enhanced voice recognition communications and entertainment system, 911 assist, 4.2 LCD display in center stack, Applink and 1 smart charging USB port, 4.2 Productivity Screen in Instrument Cluster, compass, XL Power Equipment Group, Power Glass Sideview Mirrors w/Black Skull Caps, manual-folding, Power Door Locks, flip key and integrated key transmitter keyless-entry (includes Autolock), Illuminated Entry, Power Front Windows, Perimeter Alarm, Power Tailgate Lock, MyKey, Cruise Control, ENGINE: 2.7L V6 ECOBOOST auto start-stop technology, GVWR: 6,500 lbs Payload Package, 3.55 Axle Ratio, XL CHROME APPEARANCE PACKAGE Fog Lamps (Fleet), Wheels: 17 Silver Painted Aluminum, Front & Rear Chrome Bumpers, body-color front fascia, FOG LAMPS, CLASS IV TRAILER HITCH RECEIVER towing capability up to TBD on 3.3L V6 PFDI engine (99B) and 2.7L EcoBoost engine (99P) or up to TBD on 3.5L EcoBoost engine (994), 3.5L EcoBoost High Output engine (99G) and 5.0L V8 engine (995), smart trailer tow connector and 4-pin/7-pin wiring harness, OXFORD WHITE, TRANSMISSION: ELECTRONIC 10-SPEED AUTOMATIC selectable drive modes: normal/tow-haul/snow-wet/EcoSelect/sport. Ford XL with Oxford White exterior and Medium Earth Gray interior features a V6 Cylinder Engine with 290 HP at 6500 RPM*.EXPERTS RAVEEdmunds.com's review says This truck steers and handles about as well as anything in the class. It has confidence-inspiring brakesHorsepower calculations based on trim engine configuration. Please confirm the accuracy of the included equipment by calling us prior to purchase. Oxford White exterior and Medium Earth Gray interior, XL trim. Turbo, 4x4, Back-Up Camera, Tow Hitch, CLASS IV TRAILER HITCH RECEIVER, EQUIPMENT GROUP 101A MID, TRANSMISSION: ELECTRONIC 10-SPEED AUT... FOG LAMPS. CLICK NOW!KEY FEATURES INCLUDEBack-Up Camera. 4x4, Electronic Stability Control, Brake Assist, 4-Wheel ABS, Tire Pressure Monitoring System.OPTION PACKAGESEQUIPMENT GROUP 101A MID SYNC, enhanced voice recognition communications and entertainment system, 911 assist, 4.2 LCD display in center stack, Applink and 1 smart charging USB port, 4.2 Productivity Screen in Instrument Cluster, compass, XL Power Equipment Group, Power Glass Sideview Mirrors w/Black Skull Caps, manual-folding, Power Door Locks, flip key and integrated key transmitter keyless-entry (includes Autolock), Illuminated Entry, Power Front Windows, Perimeter Alarm, Power Tailgate Lock, MyKey, Cruise Control, ENGINE: 2.7L V6 ECOBOOST auto start-stop technology, GVWR: 6,500 lbs Payload Package, 3.55 Axle Ratio, XL CHROME APPEARANCE PACKAGE Fog Lamps (Fleet), Wheels: 17 Silver Painted Aluminum, Front & Rear Chrome Bumpers, body-color front fascia, FOG LAMPS, CLASS IV TRAILER HITCH RECEIVER towing capability up to TBD on 3.3L V6 PFDI engine (99B) and 2.7L EcoBoost engine (99P) or up to TBD on 3.5L EcoBoost engine (994), 3.5L EcoBoost High Output engine (99G) and 5.0L V8 engine (995), smart trailer tow connector and 4-pin/7-pin wiring harness, OXFORD WHITE, TRANSMISSION: ELECTRONIC 10-SPEED AUTOMATIC selectable drive modes: normal/tow-haul/snow-wet/EcoSelect/sport. Ford XL with Oxford White exterior and Medium Earth Gray interior features a V6 Cylinder Engine with 290 HP at 6500 RPM*.EXPERTS ARE SAYINGThis truck steers and handles about as well as anything in the class. It has confidence-inspiring brakesMORE ABOUT USBaxter Ford West DodgeHorsepower calculations based on trim engine configuration. Please confirm the accuracy of the included equipment by calling us prior to purchase. Oxford White exterior and Dark Earth Gray interior, XL trim. Turbo, 4x4, Back-Up Camera, CLASS IV TRAILER HITCH RECEIVER, TRANSMISSION: ELECTRONIC 10-SPEED AUT... EQUIPMENT GROUP 101A MID, REVERSE SENSING SYSTEM, OXFORD WHITE CLICK ME!KEY FEATURES INCLUDEBack-Up Camera. 4x4, Electronic Stability Control, Brake Assist, 4-Wheel ABS, 4-Wheel Disc Brakes.OPTION PACKAGESEQUIPMENT GROUP 101A MID SYNC, enhanced voice recognition communications and entertainment system, 911 assist, 4.2 LCD display in center stack, Applink and 1 smart charging USB port, 4.2 Productivity Screen in Instrument Cluster, compass, XL Power Equipment Group, Power Glass Sideview Mirrors w/Black Skull Caps, manual-folding, Power Door Locks, flip key and integrated key transmitter keyless-entry (includes Autolock), Illuminated Entry, Power Front Windows, Perimeter Alarm, Power Tailgate Lock, MyKey, Cruise Control, ENGINE: 2.7L V6 ECOBOOST auto start-stop technology, GVWR: 6,500 lbs Payload Package, 3.55 Axle Ratio, REVERSE SENSING SYSTEM, CLASS IV TRAILER HITCH RECEIVER towing capability up to TBD on 3.3L V6 PFDI engine (99B) and 2.7L EcoBoost engine (99P) or up to TBD on 3.5L EcoBoost engine (994), 3.5L EcoBoost High Output engine (99G) and 5.0L V8 engine (995), smart trailer tow connector and 4-pin/7-pin wiring harness, OXFORD WHITE, TRANSMISSION: ELECTRONIC 10-SPEED AUTOMATIC selectable drive modes: normal/tow-haul/snow-wet/EcoSelect/sport. Ford XL with Oxford White exterior and Dark Earth Gray interior features a V6 Cylinder Engine with 290 HP at 6500 RPM*.VISIT US TODAYBaxter Ford West Dodge, a full-service Ford dealership in Omaha, is your source for new Ford cars, trucks, vans and SUVs both online and in our showroom. We also sell used vehicles and certified pre-owned Fords. At our 18505 California Street (185th & Dodge) locationHorsepower calculations based on trim engine configuration. Please confirm the accuracy of the included equipment by calling us prior to purchase. Oxford White exterior and Dark Earth Gray interior, XL trim. Trailer Hitch, 4x4, Back-Up Camera, OXFORD WHITE, TRANSMISSION: ELECTRONIC 6-SPEED AUTO... EQUIPMENT GROUP 101A MID, COLOR-COORDINATED CARPET W/CARPET FLO... CLICK ME!KEY FEATURES INCLUDEBack-Up Camera 4x4, Electronic Stability Control, Brake Assist, 4-Wheel ABS, 4-Wheel Disc Brakes.OPTION PACKAGESEQUIPMENT GROUP 101A MID SYNC, enhanced voice recognition communications and entertainment system, 911 assist, 4.2 LCD display in center stack, Applink and 1 smart charging USB port, 4.2 Productivity Screen in Instrument Cluster, compass, XL Power Equipment Group, Power Glass Sideview Mirrors w/Black Skull Caps, manual-folding, Power Door Locks, flip key and integrated key transmitter keyless-entry (includes Autolock), Illuminated Entry, Power Front & Rear Windows, Perimeter Alarm, Power Tailgate Lock, MyKey, Cruise Control, XL CHROME APPEARANCE PACKAGE Fog Lamps (Fleet), Wheels: 17 Silver Painted Aluminum, Front & Rear Chrome Bumpers, body-color front fascia, COLOR-COORDINATED CARPET W/CARPET FLOOR MATS (FLT), FOG LAMPS, CLASS IV TRAILER HITCH RECEIVER towing capability up to TBD on 3.3L V6 PFDI engine (99B) and 2.7L EcoBoost engine (99P) or up to TBD on 3.5L EcoBoost engine (994), 3.5L EcoBoost High Output engine (99G) and 5.0L V8 engine (995), smart trailer tow connector and 4-pin/7-pin wiring harness, OXFORD WHITE, ENGINE: 3.3L V6 PDFI auto start-stop technology and flex-fuel capability (STD), TRANSMISSION: ELECTRONIC 6-SPEED AUTOMATIC selectable drive modes: normal/tow-haul/sport (STD). Ford XL with Oxford White exterior and Dark Earth Gray interior features a V6 Cylinder Engine with 290 HP at 6500 RPM*.EXPERTS CONCLUDEThis truck steers and handles about as well as anything in the class. It has confidence-inspiring brakesHorsepower calculations based on trim engine configuration. Please confirm the accuracy of the included equipment by calling us prior to purchase. Trailer Hitch, OXFORD WHITE, Back-Up Camera, 4x4, BLACK PLATFORM RUNNING BOARDS, TRANSMISSION: ELECTRONIC 6-SPEED AUTO... EQUIPMENT GROUP 101A MID, FOG LAMPS. Oxford White exterior and Dark Earth Gray interior, XL trim READ MORE!KEY FEATURES INCLUDEBack-Up Camera. 4x4, Electronic Stability Control, Brake Assist, 4-Wheel ABS, Tire Pressure Monitoring System.OPTION PACKAGESEQUIPMENT GROUP 101A MID SYNC, enhanced voice recognition communications and entertainment system, 911 assist, 4.2 LCD display in center stack, Applink and 1 smart charging USB port, 4.2 Productivity Screen in Instrument Cluster, compass, XL Power Equipment Group, Power Glass Sideview Mirrors w/Black Skull Caps, manual-folding, Power Door Locks, flip key and integrated key transmitter keyless-entry (includes Autolock), Illuminated Entry, Power Front & Rear Windows, Perimeter Alarm, Power Tailgate Lock, MyKey, Cruise Control, XL CHROME APPEARANCE PACKAGE Fog Lamps (Fleet), Wheels: 17 Silver Painted Aluminum, Front & Rear Chrome Bumpers, body-color front fascia, BLACK PLATFORM RUNNING BOARDS, COLOR-COORDINATED CARPET W/CARPET FLOOR MATS (FLT), FOG LAMPS, CLASS IV TRAILER HITCH RECEIVER towing capability up to TBD on 3.3L V6 PFDI engine (99B) and 2.7L EcoBoost engine (99P) or up to TBD on 3.5L EcoBoost engine (994), 3.5L EcoBoost High Output engine (99G) and 5.0L V8 engine (995), smart trailer tow connector and 4-pin/7-pin wiring harness, OXFORD WHITE, ENGINE: 3.3L V6 PDFI auto start-stop technology and flex-fuel capability (STD), TRANSMISSION: ELECTRONIC 6-SPEED AUTOMATIC selectable drive modes: normal/tow-haul/sport (STD). Ford XL with Oxford White exterior and Dark Earth Gray interior features a V6 Cylinder Engine with 290 HP at 6500 RPM*.VISIT US TODAYBaxter Ford West Dodge, a full-service Ford dealership in OmahaHorsepower calculations based on trim engine configuration. Please confirm the accuracy of the included equipment by calling us prior to purchase. XL trim. Trailer Hitch, OXFORD WHITE, Back-Up Camera, 4x4, TRANSMISSION: ELECTRONIC 6-SPEED AUTO... COLOR-COORDINATED CARPET W/CARPET FLO... EQUIPMENT GROUP 101A MID, CLASS IV TRAILER HITCH RECEIVER, ENGINE: 3.3L V6 PDFI SEE MORE!KEY FEATURES INCLUDEBack-Up Camera. 4x4, Electronic Stability Control, Brake Assist, 4-Wheel ABS, 4-Wheel Disc Brakes.OPTION PACKAGESEQUIPMENT GROUP 101A MID SYNC, enhanced voice recognition communications and entertainment system, 911 assist, 4.2 LCD display in center stack, Applink and 1 smart charging USB port, 4.2 Productivity Screen in Instrument Cluster, compass, XL Power Equipment Group, Power Glass Sideview Mirrors w/Black Skull Caps, manual-folding, Power Door Locks, flip key and integrated key transmitter keyless-entry (includes Autolock), Illuminated Entry, Power Front & Rear Windows, Perimeter Alarm, Power Tailgate Lock, MyKey, Cruise Control, XL SPORT APPEARANCE PACKAGE Fog Lamps, Box Side Decals, Wheels: 17 Silver Painted Aluminum, Body-Color Front & Rear Bumpers, body-color front fascia, COLOR-COORDINATED CARPET W/CARPET FLOOR MATS (FLT), FOG LAMPS, CLASS IV TRAILER HITCH RECEIVER towing capability up to TBD on 3.3L V6 PFDI engine (99B) and 2.7L EcoBoost engine (99P) or up to TBD on 3.5L EcoBoost engine (994), 3.5L EcoBoost High Output engine (99G) and 5.0L V8 engine (995), smart trailer tow connector and 4-pin/7-pin wiring harness, OXFORD WHITE, ENGINE: 3.3L V6 PDFI auto start-stop technology and flex-fuel capability (STD), TRANSMISSION: ELECTRONIC 6-SPEED AUTOMATIC selectable drive modes: normal/tow-haul/sport (STD). Ford XL with Oxford White exterior and Dark Earth Gray interior features a V6 Cylinder Engine with 290 HP at 6500 RPM*.WHY BUY FROM USBaxter Ford West Dodge, a full-service Ford dealership in Omaha, is your source for new Ford carsHorsepower calculations based on trim engine configuration. Please confirm the accuracy of the included equipment by calling us prior to purchase. 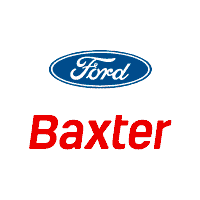 Get the keys to a powerful new work truck or get the ideal family vehicle today by shopping for a new vehicle at Baxter Ford. Finance a new Ford F-150 truck to complete tough jobs or lease a new Ford Mustang performance car to stand out from the crowd. We have a wide range of new Ford sedans, too, including the popular new Ford Focus and Fusion models. Need more space? Check out our new Ford Edge, Explorer and Escape SUVs here. No matter which new Ford model it is you love, we have it right here at our Ford dealership in Omaha, NE. Start shopping now!